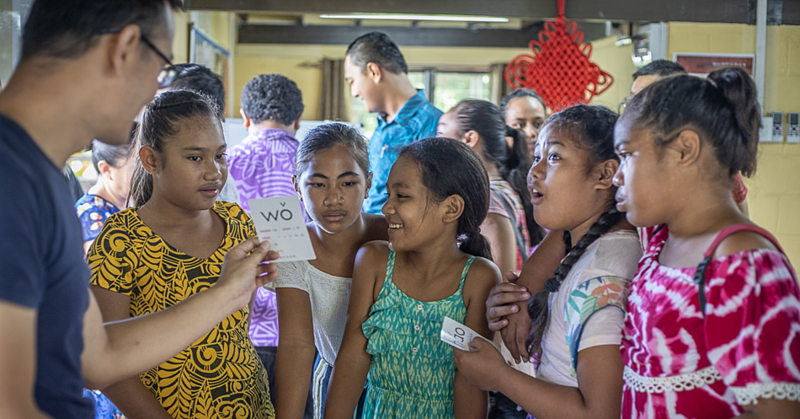 Members of the public have given their full support to ban the use of plastics in Samoa. According to a statement issued by the Ministry of Natural Resources and Environment (M.N.R.E. ), their public consultations last month was a success with the response from the public. The M.N.R.E. is now finalising its policy on the ban of plastics before referring it to the Attorney General’s Office. The regulation is proposed to take effect next month; however there will be phase out periods which will be from six to 12 months to allow all plastics to phase out and alternatives to be brought in. In June, the Samoa Government announced its commitment to ban single use plastics or shopping bags, straws and other range of plastics by 2019 in a bid to protect the environment and our oceans. The M.N.R.E. moved to conduct national consultations with village representatives in both Upolu and Savaii from July 23-27, 2018 to consult on the initiative and obtain any feedback of views from the community. The M.N.R.E. 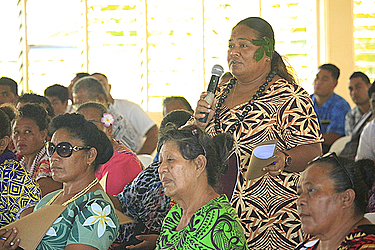 Assistant Chief Executive Officer for Division of Environment and Conservation, Seumaloisalafai Afele Faiilagi, said the public are supportive of the initiative. “The villages have been very supportive of the plastic ban initiative based on their own take and understanding of the impacts of plastic to our own environment including ocean. “In fact, strong submissions were made to also ban styrofoam plates and cups and this has been taken into consideration by the Ministry. “The feedback from the private sector was also very positive, with a few areas for the Ministry to look into to make sure we do not adversely impact the businesses,” said the A.C.E.O. Seumaloisalafai led the consultations on behalf of the Ministry and with assistance by J.I.C.A. and S.P.R.E.P. “The sentiments of the community is also evident from the several local businesses and N.G.O.s that have started using environmental friendly products such as reusable stainless steel straws (Nourish Cafe), coconut leaf plates (organic market organised by W.I.B.D.I. ), reusable cloth bag (Coin Save), shopping vouchers for reusable cloth bags and no free shopping bags for shopping less than five items (Mynas Supermarket) and the use of woven coconut leaf basket on Sunday market by Samoa Women’s Association of Growers. The only exceptions would be plastics used to cover meat for food safety. “Currently plastic products such as the plastic shopping bags are imported in Samoa and there are only four licensed companies who can import. Once the ban is in effect, companies will no longer be permitted to import such plastics. “Paper bags, paper boxes and paper cups will replace these and the relevant businesses have been informed, so they are able to identify new suppliers for the alternatives. Seumaloisalafai said this would also encourage Samoa’s sustainable cultural practices such as using woven baskets.